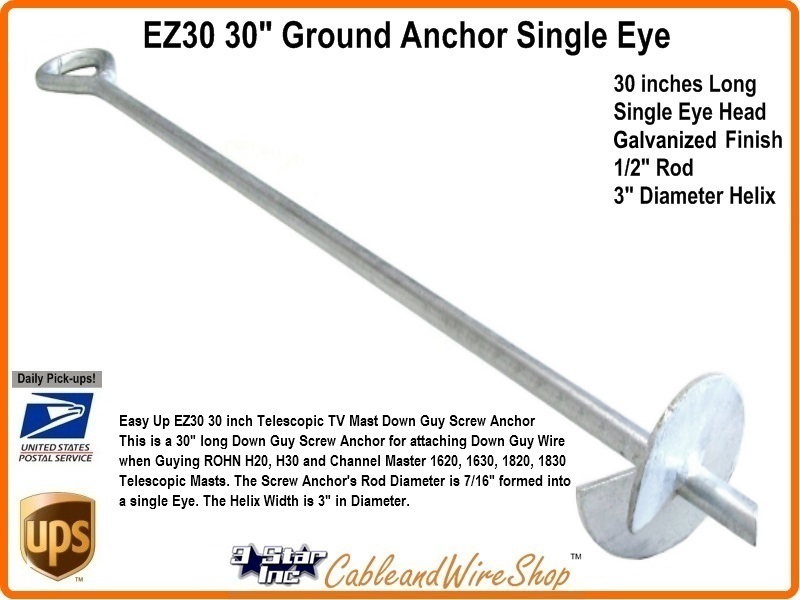 This is a 30" long Down Guy Screw Anchor for attaching Down Guy Wire when guying ROHN H20, H30 and Channel Master 1620, 1630, 1820, 1830 Telescopic Masts. The HDG Screw Anchor's Rod Diameter is 7/16" formed into a single Eye. The Helix Width is 4" in Diameter. Note: Though this item has been purchased with the idea of use in temporary 25G Tower erection, it is not recommended. It is designed for use in Down Guying Telescopic Antenna masts.